There are several different techniques for creating stencils with Adobe Photoshop. In this tutorial we will look at using Threshold to make stencils. Part B of this tutorial explains how you can then print your own original t-shirts with your stencil art. I couldn’t even begin to explain how addictive printing t-shirts becomes! First you are going to need a picture idea for your stencil. A great place to find photos is stock.xchng or just Google Image Search it. 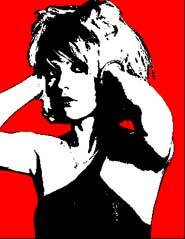 I’m going to use a picture of Deborah Harry (Blondie) for a retro stencil. 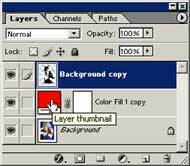 Now duplicate the layer. 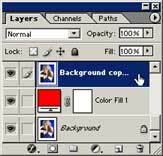 Just click the layer called “Background” and drag it to this icon at the bottom of the layer palette to duplicate the layer. 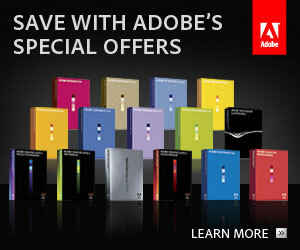 Select a bright colour in the Colour Picker dialogue box that is going to stand out against your image. Click OK. See image below. Drag your new fill layer inbetween the two other layers. 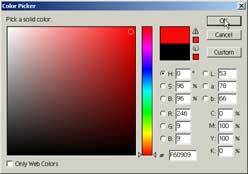 Your Layer Pallete should look like the image below. Now working on the top layer “Background Copy” we want to remove all the unwanted bits. In my case I want to isolate Blondie and get rid of the background blue. To do this you should use the pen tool but if you are feeling lazy just use the magic wand and eraser tool. Adjust the threshold. Image >> Adjustments >> Threshold. Move the slider until you get a good result and click OK. The image below is what I used but this will differ for each picture. The resulting image maybe a little jagged (pixelated) but don’t worry we will fix that. 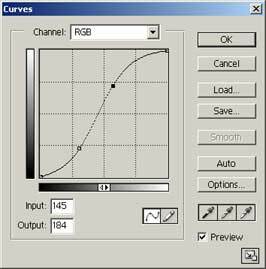 The line in the “Curves” dialogue box will appear as a diagonal. Click on this diagonal line twice and drag these two markers until your line forms an “S” shape (as shown below). The lower marker will increase the black values as you pull it down. The upper marker will decrease the grey values as you pull it up. The exact shape of YOUR “S” curve will depend on YOUR picture, so watch your image as you move these markers until you achieve the desired result. Your image should be looking clean now. 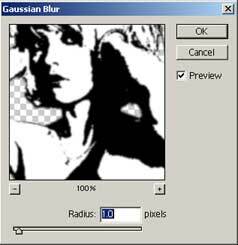 In your Layers Palette double click on the Layer Thumbnail (as shown below) and change the color to black or white depending on your picture. I found that black worked best for my image. Finally take your paint brush tool! THIS NEXT STEP IS WHAT MAKES IT A FUNCTIONING STENCIL!! The white areas are the areas I’m going to cut out, so I need to make sure that no black areas are enclosed by the white. The image below demonstrates the idea of creating bridges so that there are no islands. You can see on picture 1 that if I cut out the white region I would lose the wheel. In picture 2 you can see the bridges which stops the loss of the wheel detail. Bridges also make your stencil stronger. If you have large areas to cut out you might want to consider adding bridges to maintain the strength of the stencil. You may also want to paint out areas to simplify your stencil. 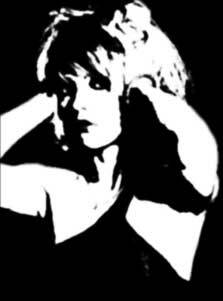 Below shows my finished stencil art of Blondie. You can see that I increased the Canvas Size and painted in her missing elbow. I also used my artistic licence and simplified the hair into some spikey bits. So that’s the basics of creating a stencil using Threshold. Have fun! Remember if you have any questions or suggestions please contact me via my contact page.